Your sewing machine is a sophisticated precision engineered product combining, usually, mechanical parts with electronic components. That means special skills and special equipment are needed when it is time for a necessary service or a repair. Sewfine provides top quality after sales service including maintenance and repairs. Steve Crook is one of a specialist group of experienced and factory trained Bernina and Janome engineers. Steve enjoys the well deserved confidence and backing of his suppliers to bring you peace of mind when buying and using your new sewing machine. Keeping your machine in running order. Regular servicing by a qualified technician is necessary for almost anything mechanical but there are things you can to do to enjoy the best from your machine. 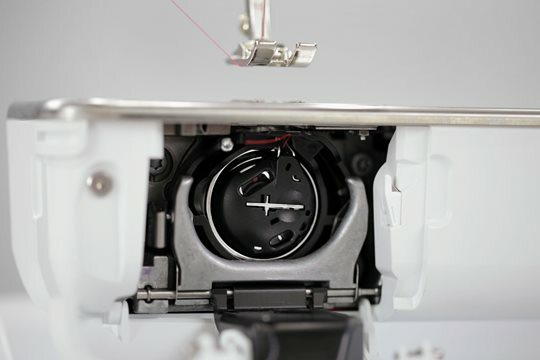 Keep your machine clean and clear of threads, fluff and shreds of fabric. Apply oil as shown in your manual. Usually only very tiny amounts are needed. Use only sharp needles, you cannot get the best results from a worn and blunt needle.